Specialising in some of the most complicated and intricate forms of nose job surgery. Dr Mooney is actively involved in research, education and has presented and been widely published locally and internationally on the topic of Facial Plastic Surgery and rhinoplasty. Dr Mooney has worked extensively in the public hospital system and philanthropic work is important to him, especially with regard to indigenous health. He has made over 50 trips to a clinic in Darwin, NT which serviced indigenous Australians as well as service men and women and local Darwinians. He is now a sitting member of ATSI advisory sub-committee to OHNS, RACS board, and is involved in outreach medicine to rural communities in NSW. 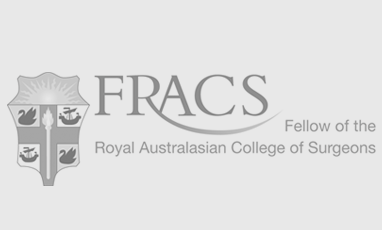 Only trust your care to a fully qualified surgeon who is a Fellow of the Royal Australasian College of Surgeons, FRACS. Always ask your surgeon about their experience and formal training in your planned procedure. Surgeon Specialising In Rhinoplasty And Facial Cosmetic Surgery. I come from a medical background. My father was a wonderful paediatric ENT Surgeon and was head of the Royal Children’s Hospital in Melbourne for 20 years. He was an innovator and introduced the first laser to ENT surgery in Australia in 1973. He used it to treat Laryngeal Papillomatosis, warts on the larynx, that can kill children. It’s a terrible complaint; one particular child required 112 operations– every time effectively saving this boy’s life! Dad was inspiring, although the first time he took me into an operating theatre, aged 11, I fainted. Medical school took six years, with 40 hours of lectures each week. I chose Monash University because, at the time, I felt it was the more progressive of the two Melbourne Universities. I graduated in 1990 and won the medical prize for my year. The only other speciality I was interested in was plastic surgery. However, it was a very different era to now, as the only plastic surgery in public hospitals was amputations, burn victims and other traumas. About the only elective cosmetic surgery was Otoplasty(ear), Rhinoplasty(nose) and Breast Augmentation, and in those days these mostly took place Hollywood. Six months at the Australasian Academy of Facial Plastic Surgery in Sydney was critical to learn how to run a practice as most ENT surgeons go into private practice with a mix of public hospital appointments. David Howard (President of British Laryngological Association), is one of the best head and neck cancer surgeons, anywhere. Howard was very calm, steady and deliberate. He taught me an invaluable technique to ensure each operative step progressed the surgery forward in order to advance the operation. This was critical learning. It taught me to operate calmly, effectively and always with purpose. In Paris I worked with Jean Abitol who at the time was the voice guru. He introduced me to the intricacies of the voice box and the micro instruments required. He also taught me the importance of the connection between psychology and laryngology: the important interplay between the voice and the mental health of his patients. Over time, I have extrapolated this learning to emphasise the importance of mind and body on our patients. We now live in a time where we commonly see body dysmorphia, which is the anxiety of how we look. This was my first insight into how important the stability of the mind is to the health of my patients. Then to the Lasky Clinic in Beverly Hills, which is focused on Rhinology and cosmetic facial surgery for the stars. No name dropping here, but a number of my Hollywood patients are household names in Australia. The fad at the time was a rhinoplasty surgical technique called the Goldman Tip (reconstruction of the nose tip), which is fast and looks good, but long term has problems. It was an important lesson in what not to do. I still fix a lot of Goldman Tip’s to this day. Also, many of my patients were African Americans who wanted to reduce the width of their nostrils. I wasn’t happy with the techniques being used as dark skin scars easily, so developed an internal scarless alar base reduction technique, which we use to this day. Initially I worked in Melbourne with Dad. Then in 2006 I was invited to join the practice of one of my surgical mentors, Professor Bridger, a head and neck cancer surgeon. It was a fortuitous decision because of the cultural diversity in western Sydney, as I learnt a huge skill set. I was exposed to patients of both sexes, with a great deal of trauma, sporting violence, reduction rhinoplasty, augmentation rhinoplasty, alar based reduction, and more. Also very important to me is my philanthropic work, cancer and general work in the public sector, and my involvement in indigenous health and an outreach program with clinic visits to rural communities in NSW. This is an exciting medial sector where one never stops learning and growing. In April, 2018 while lecturing at the Rhinology conference in Perth (hosted by the Australian Academy of Facial Plastic Surgery) I was humbled by the array of talent and forward thinking by my peers. Australia really is at the forefront of best practice in the field of Rhinoplasty. It’s an honour to be operating among the top echelons of surgeons.